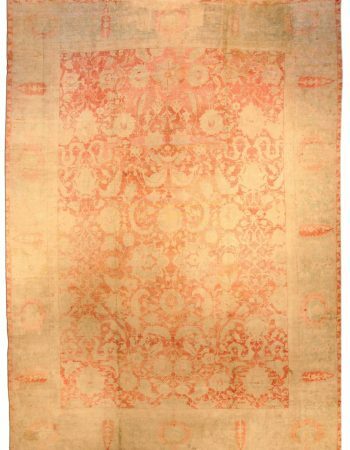 From the 1600’s to the early 1900’s, Indian craftsmen created a virtually unlimited number of unforgettable carpets and textiles. 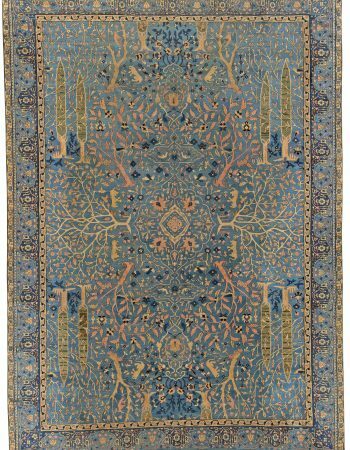 Whether they are woven or embroidered, every antique rug originating from India will boast an original style and an elegant countenance that is worthy of a shah or most distinguished British ruler. 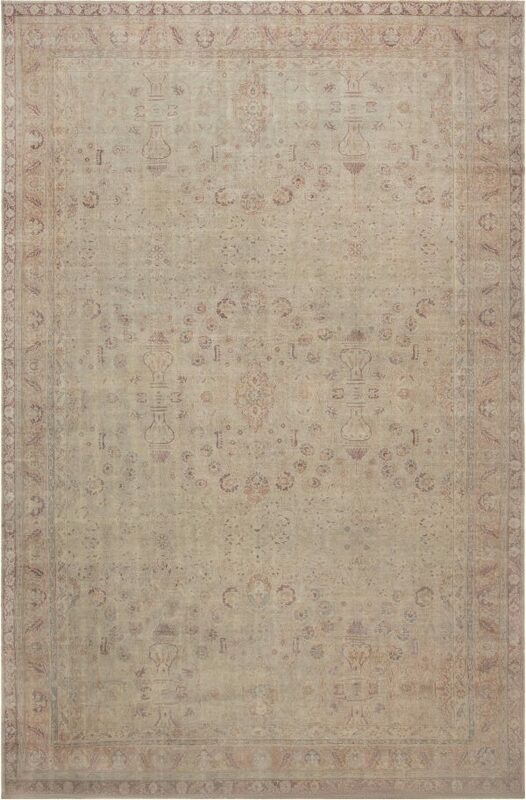 The antique Indian rug before your eyes, circa 1920, is a graceful example of the famed Indian artistry. Its main field proudly carries a meticulous botanical design with vase motifs, meandering but almost architectural vinery and palmettes. It is embraced by a series of borders held in a similar spirit with further florals, palmettes and stylized acanthus leaves. 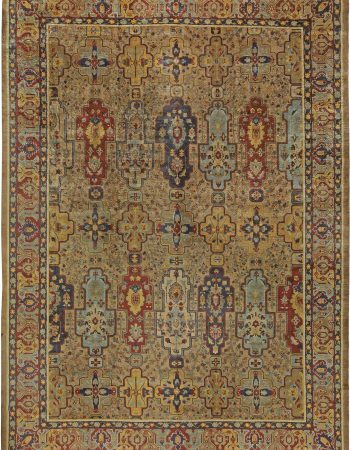 This lush thicket present on the antique rug is balanced by a soft color palette of beige and mauve that will introduce serenity and a slightly feminine touch a to wide array of interior decors, from classic to contemporary. The execution of this Indian carpet was performed according to centuries-old techniques to ensure its uniqueness and quality. 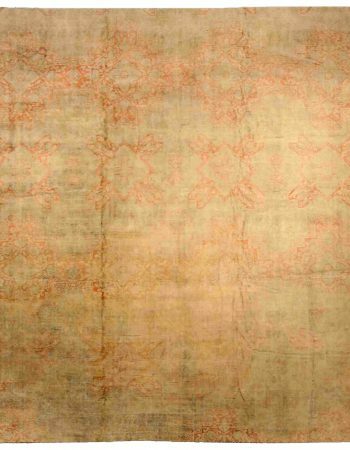 It was carefully knotted by hand of the finest wool on traditional looms. Due to such making, it has survived until this day in perfect shape and will undoubtedly serve its owners for generations, provided just a little care.